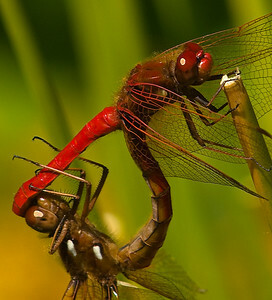 Mating Cardinal Meadowhawk dragonflies - the so-called "wheel" position. 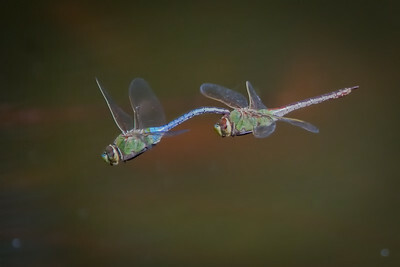 Male on the left. 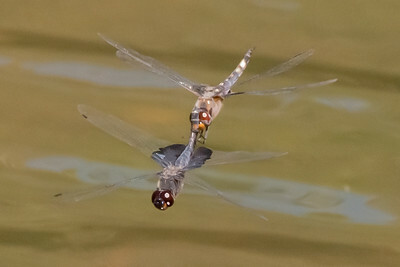 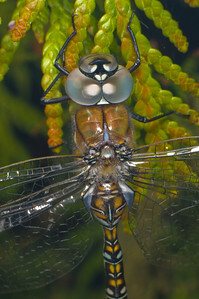 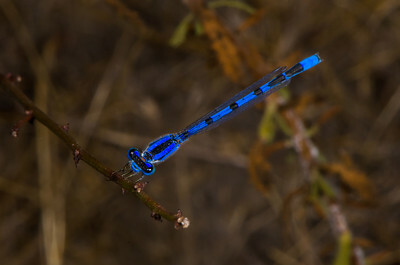 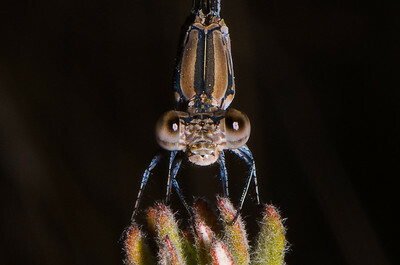 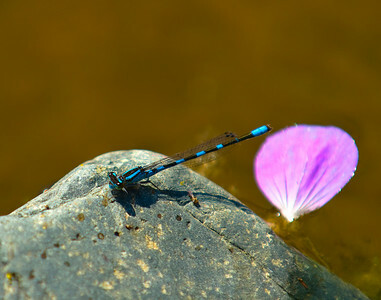 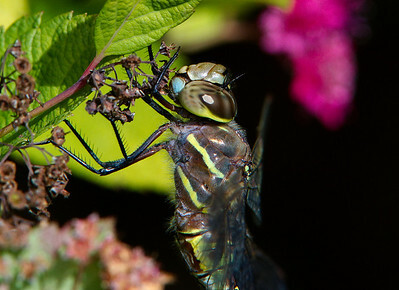 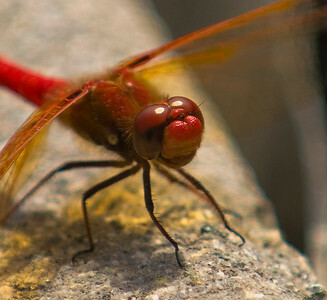 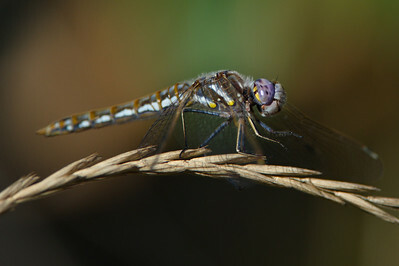 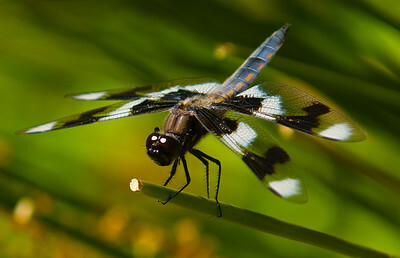 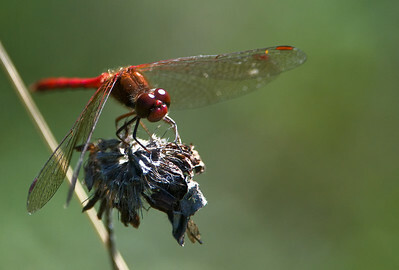 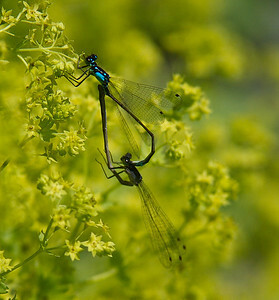 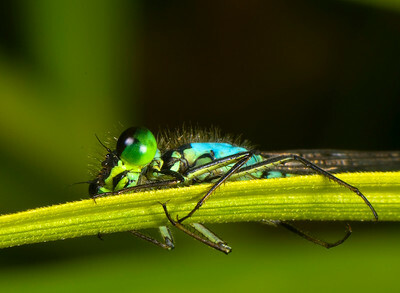 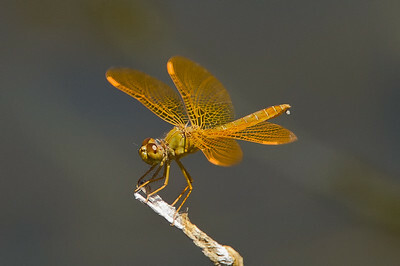 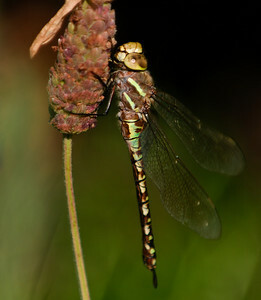 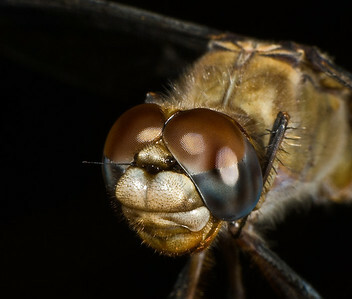 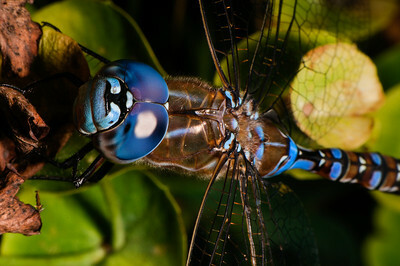 As a preliminary to copulation, the male must transfer sperm from further back on its abdomen to a position where it can be reached by the female. 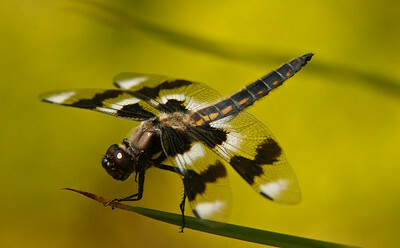 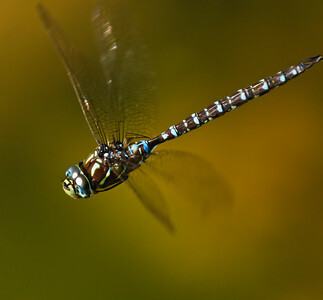 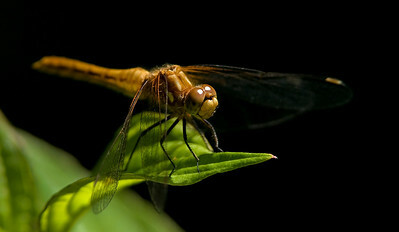 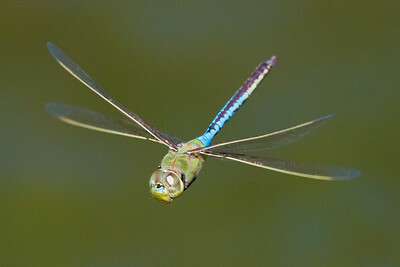 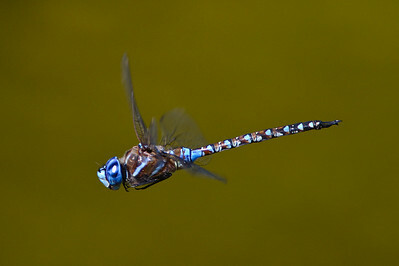 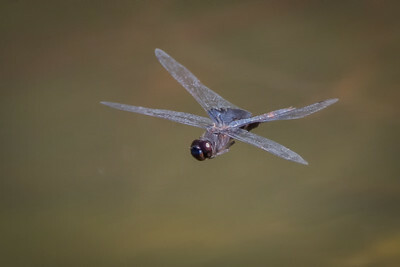 Shadow Darner flying over the lower pond. 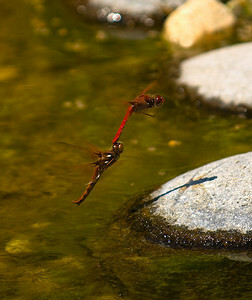 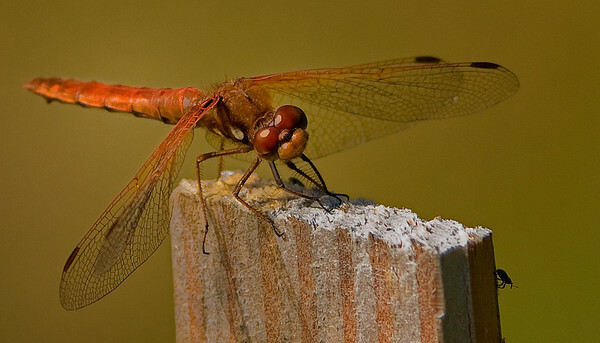 Cardinal Meadowhawks engaged in pre-mating behavior over the upper pond. 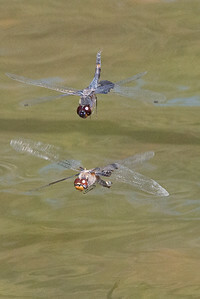 The male is in front. 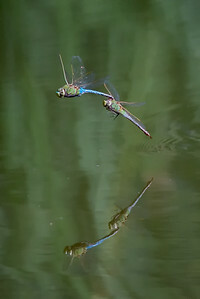 The position is called "in-tandem." 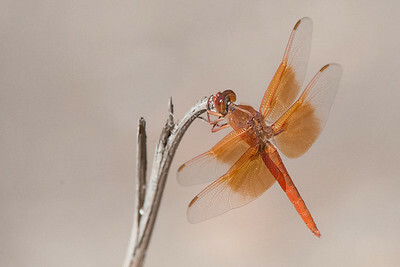 Months of grueling yoga lessons finally pay off.